On a walking safari you become part of the landscape, just another mammal in a realm untouched for millennia. A giraffe peers down, kudu and impala evocatively return your gaze, and a wild soundtrack echoes across the plains. Whether it's wild rhinos or elegant antelope herds, the wildlife is even more majestic when you're also on ground level. Immerse yourself in Africa's landscapes. We've always been fascinated by how the African landscape is constantly talking. There are clues everywhere, from fresh elephant dung to boisterous buffalo grunts, paw prints in the sand to spiralling scents. On a walking safari you move slow enough to appreciate this language and learn the secrets of the landscape's ancient rhythm. Local guides play a huge role in this discovery and we have many inspiring options, like barefooted San bushmen in Botswana, Masai and Samburu warriors in Kenya, or the hunter-gatherer Hadzabe in Tanzania. Their intimate understanding helps you track different species and safely encounter the giants. Even after countless walking safaris, we find the first few steps to be imbued with both exhilaration and a certain trepidation. A question hangs in the air – am I really walking across wild big-game country? Remember, many tribes have coexisted with the wild animals for generations; they understand the land like you might understand a city street. By following their ancient practices and techniques, local guides can get you very close to a whole array of wildlife. 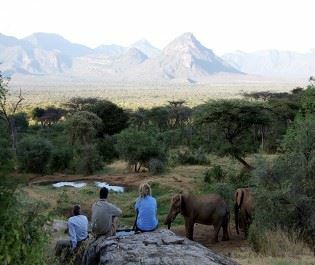 Where can you enjoy this type of safari? Many camps and parks offer walking safari options, from 30-minute excursions to half or full-day activities that provide a fresh perspective. We can also recommend certain concessions that provide truly unique encounters, like tracking white rhinos or large elephant herds. Some conservancies take you even deeper, with multi-day walking safaris across land that's inaccessible to vehicles. 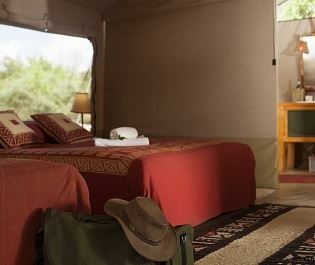 It's truly an adventure into the unknown, complemented by mobile camps in the heart of the wilderness. 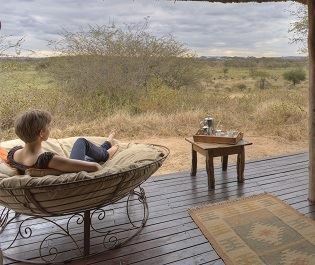 On a multi-day African safari, we really recommend taking up the opportunity of a walking safari. The connection you make with the wild is exquisite and the thrill of the experience soon translates into an indelible charm. Venture off the beaten track in Kenya and you'll come across the Mathews Range, a jaw-dropping area full of wonderful wildlife and unforgettable experiences. 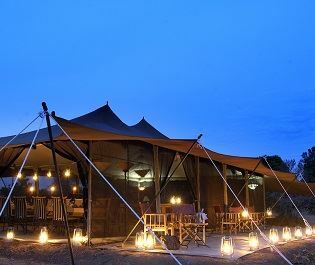 The exclusive ambience and classic safari style of this camp is one of many reasons why we always recommend it for an amazing Amboseli stay. 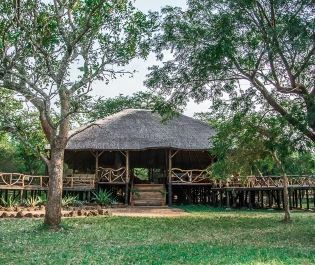 Hidden within the remote wilderness of Tarangire, this luxury camp never fails to disappoint thanks to its incredible views and luxurious amenities. The friendliness of the staff here really makes you feel at home, whilst the rustic decor really creates a cosy, homely feel. 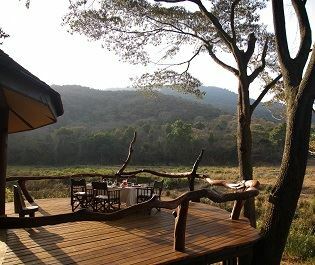 From spotting Fig the leopard, to dining under the stars, Porini Lion Camp is one of our favourite spots for experiencing classic Africa. There are no game drives here; instead the focus is on incredible walking safaris that are simply life changing. We love a post-safari swim in the azure waters too. 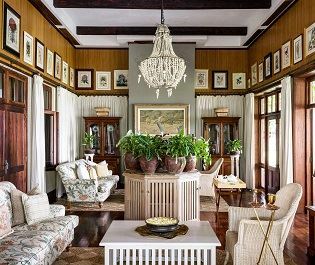 With lavish European inspired cottages and completely tailor-made wildlife experiences; this lodge always makes us feel indulgent. 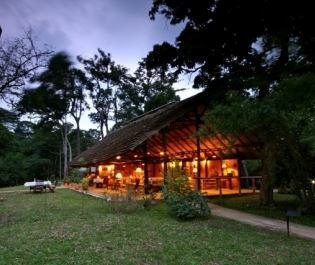 Nestled along the Ntungwe River, this charming camp offers a homely and rustic ambience amongst Ishasha's luscious green forest.